Work for Google Cloud Functions? "The best place to deploy you app for better processing"
The dataabstraction is very efficient in this. It runs on same infrastructure that google uses for its end users. The only thing i dislike is the linux console is very tedious to understand and a bit laggy . The git included in the Cloud is also complex. But when learned can be used to create wonders. I would recomment this to every professional who need heavy computation power and alway uptime of services. I am using analytics and the computational power apps . Its a userful service when you dont wanna use your own hardware to deploy the app . so its the best available option for me. "Google Cloud is a must-have for modern businesses"
The ease of access that I enjoy as a user of Google Cloud is why I choose to keep on coming back to this service. Maintenance shut outs have never happened to me, and the digital security Google has in place for moving my code in and out of the cloud is the best in the world. The way that Google Cloud integrates with other Google products is a major plus. I can store backups with ease in my Drive folder. I can quickly discuss what I am working on with a client over Hangouts, and I like to run real time testing with a video chat window open. Also, the price points are amazing. So many options for free use exist if you are new to the use of cloud services. Once you decide to scale up, the cost will be very reasonable. Some of the help guides are very intensive. There is a learning curve if you are new to coding and the use of the cloud. It helped me a lot to work with an actual person, a specialist that lives near me and was able to walk me through the use of certain features (mostly the third party API functions) that I was afraid of using the wrong way and causing issues with my clients. The free access point is great for trying it out, so commit a few hours to trying it out. I needed to address how I implement code in a way that would be affordable, reliable and practical. Google Cloud met all of these needs, so I am very satisfied with the service. "Great Free Review Period, User Interface "
I am in the free 30-day review period for Microsoft Cloud Function and it's great to be able to try out the program for free. So far functionality is great. I'm connecting some APIs to my Wordpress page and it's very user-friendly for a mid-level techie like myself. I use Google suite for just about everything so there's a lot of potential here. I may try my hand at creating some apps now that I have this tool available. There's a lot here and it's going to take some time to get a grip on all of it. A built-in tutorial would be nice. I have not tried the help section yet. There are some things here that I've never seen before. I anticipate being able to integrate data from all of my Google suite programs with features of my webpage and hopefully with Analytics as well. "Amazing cloud service at cheapest price"
Its very secure to save the files to the google cloud or u can say drive.The way that Google Cloud integrates with other Google products is a major plus. I can store backups with ease in my Drive folder. Nothing at all till now and i know google is always there for troubleshooting and It helped me a lot to work with an actual person, a specialist that lives near me and was able to walk me through the use of certain features (mostly the third party API functions) that I was afraid of using the wrong way and causing issues with my clients. Safety of documents and important data to the google cloud. We use this in our everyday jobs in order to share documents and work on multiple things at the same time. This has made it so easy to collaborate on documents, with real time editing/comments and able to share our work. I find this platform very secure in terms that the privacy settings make it easy to restrict others from seeing anything, and you have to be added to be a part of the cloud. Without this software, it would be really hard for us to collaborate the way we do. I dislike how hard it is to find items in the cloud. You have to do multiple clicking through folders to find items. I wish there was an easier search option in order to find what I am looking for. "Potential, but has a ways to go." Good, simple integration with other GCP services and Google's DialogFlow voice platform. Extremely poor cold start times on idle functions that made the service unusable for a DialogFlow-based voice platform production environment. DialogFlow itself mandates a 5 second timeout when calling a backend function and the cold start times on these Google Cloud Functions is often more than 5 seconds, meaning that Google DialogFlow will throw errors trying to call its own preferred and integrated FaaS solution. Launching a voice-based user interface with DialogFlow. Moving to serverless was one of the best decisions that we've ever made. Because of this we've made accessing our files so much easier. The areas I dislike is some of the UI needs to be updated, as well as it being a bit slower than the previous servers we had. I believe that Google Cloud Functions works hard to ensure we have access to our files from anywhere. This solution is only slightly slower than in house servers at less cost and less space. It also helps us access the files from out of our office at a much higher data rate. We are solving the ability to access our files in different locations with Google Cloud. "The Best Multi-Purpose Cloud Storage"
I love how every one of my documents is accessible cross-platforms and when I’m prepared to download a document from Google, it can be done in a number of popular file formats in a friendly manner. Occasionally, when switching between Microsoft tools and google drive products, the files are adjusted improperly and formatting is lost. That’s very painful to the time crunch many teams face. One is saving space on our work computers which is so precious, but the other is being able to access the same files for a number of users and edit those files simultaneously. It’s a great platform to work across. "Simple, Elegant, Powerful - Not mature enough yet"
Cloud functions are easy to use, deploy, and are written in NodeJS. There is nowhere to put sensitive data! In AWS lambda, you can set configuration variables, but Cloud Functions have no equivalent unless you are using Firebase. This renders them useless in many scenarios. Be aware that there is no easy way to add environment information of sensitive config data. This applies more the the world of serverless computing at large. Cloud functions are cheap, easy, and extensible. There are also a wide range of use-cases where cloud functions are a perfect fit. They cost a fraction of running a VM, and come without the hassle. I Love the great way that the service allows me to save things in a cloud instead of a memory card or hard drive. I do not like how I have to navigate so much to get to the file I desire. Please allow less navigation tabs to make it a more easier use. I would love for the feature to be a mobile app as well if not already. Storage for all of our employees's personal work related files. "Buen programa como almacenamientpalmacenamiento "
Me gusta que esta integrado dentro de la suite de Google así que puedes abrir documentos, enviarlos por correo o tomar notas. Es fácil de subir archivos así como utilizar la sincronización. Tal vez que la seguridad se puede ver comprometida si no se activa manualmente la seguridad en dos pasos. Los paquetes de pago para aumentar la capacidad podrípodrían estar algo más rebajados.rebajados . Mayor visualización como publicidad en páginas empresariales, acuerdos con asociaciones empresariales y ciertas rebajas en sus paquetes de almacenamiento. Lo he utilizado para intercambio de archivos pesados con compañeros de trabajo así como consulta de documentos. También para realizar un trabajo en grupo y poder editarlo desde el mismo programa Google cloud. Documentation for Cloud Functions is very comprehensive and contains examples for all occasions. Almost all. It can be tricky sometimes for an inexperienced person. Google Cloud Functions allowed us to make many API connections with just one function that does just one small task that can trigger a trigger (some condition) or after you explicitly call it by sending a simple REST request to its endpoint. Good Serverless solution - easy and handy. Comparing other vendors, Google sticks to open source way of cloud computing which is being loved by all developers. The costing model is also friendly. Ease of deployment and development. Solid logging and alert capability. Not really a downside but you must remember it is stateless and you must design accordingly. Ability to set scaling limiters, however I heard this is a thing, I just haven't identified where to set that yest. Automotive IoT data consumption and processing. It's serverless architecture which allows us to run small business logic. The lack of proper documentation and community support. There is not support for multiple programming languages as in AWS Lambda. 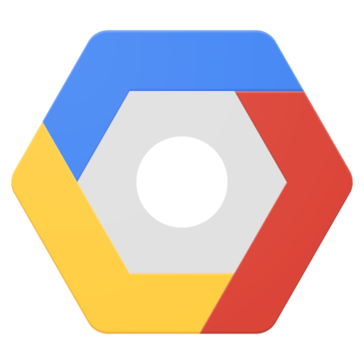 Google Cloud function help us to run small tasks like starting a server scaling up and scaling down monitoring for external services. Easy access through gmail & ability to function with coworkers easily. It is a great resource and value to our business. We love all that google is putting out right now, and google cloud is no different. Quality product and service. Communication. shared features. Flexibility of us for organization and individual use. We were using dropbox previously, and struggled to transfer things over from gmail and g suite to dropbox. Now we have much more simplicity in that process. Thanks! "Software down due to Google Cloud Outage"
Typically everything! I love google chrome and the many extensions I run on it. So many things are dependent on it working. Have a plan for if the cloud goes down. Our entire software is run on the google cloud. Therefore, no google cloud -> no company. "User friendly and super convenient. " I like that I can access not only my things but stuff that is shared by the company. No matter where I am I have the documents and information I need. Occasionally it is hard to find things right away if someone has named the file something weird. Not really the programs fault though. It is all about locations. We have multiple offices all over PA. A lot of employees. This just makes it that much easier to streamline the documentation part of this. limited functions per project, long execution time as compared to its competitors. "quick performance for peak power"
platform works very well. Cloud technology is fairly new in our company but works well. Peak processing time. works well as platform deliver service. Gives peak performance when needed. Helps process information quickly. "Google Cloud Has Many Uses"
What I like best about google cloud is the ease in sharing content and reports with colleagues, that can be edited by everyone. The thing I dislike is the sometimes unnecessary elements of security, making it difficult to share info with everyone needed. Make sure you have your security settings set accurately so that there aren't issues allowing everyone access to documents. Collaboration on reports, files, etc. that can't be done unless sharing a single computer - until Google Cloud. "Easy to use and share items"
Ease of use. User friendly Interface.Great Documentation. The service can be very expensive but it depends what you are using the service for. "Google Cloud trumps its competition "
Pricing! Google Cloud is extremely affordable, especially for all of its functionalities. Although the concept is easy to use at times i had issues with recovering certain files. Ensure that you save in properly and you will be fine. Maintaining a centralized database for files such as PDFs, invoices, and other documents for internal and external use. "a good technology to adopt server less architecture"
I think you need to work on the UX part and bring in more docs and tutorials of the same. Yes i would love to build an fluent app for my current company OPPO. "Easy to ue with straightforward interface.,"
Was much easier to get up and running than the primary serverless function competitor. At the time of use (6 months ago) the stack was too limiting for our use case. So far the uptime required for the services has been very high. So far nothing, it has been a very good experience so far. Based on the demo they provided, it's quite easy to use. None so far, liking what I see. Will update if this changes. "Google Cloud is nice but not for high data use"
Learning about Google Cloud Functions? * We monitor all Google Cloud Functions reviews to prevent fraudulent reviews and keep review quality high. We do not post reviews by company employees or direct competitors. Validated reviews require the user to submit a screenshot of the product containing their user ID, in order to verify a user is an actual user of the product. Hi there! Are you looking to implement a solution like Cloud Functions?